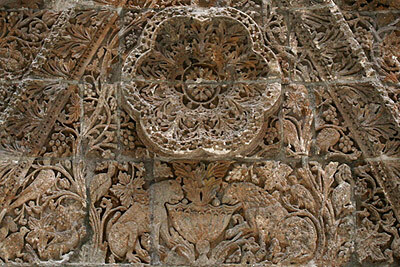 The palace of Mshatta (Arabic for winter) is located 30 km south of Amman, next to Queen Alia International Airport. Its construction probably started during the brief reign of the Umayyad caliph al-Walid II (743-744 AD), but was not completed as he was murdered, and the palace destroyed by an earthquake later. The key function of the palace was to create a prestigious environment for the caliph to hold audiences and conduct high-level meetings with local tribal leaders. Qasr al-Mshatta is world-famous for the elaborate ornamentation of its southern main façade with detailed reliefs deeply carved into the limestone. On the western (left) section, between zigzag-like moldings and magnificent rosettes and octagons, animals and human figures are depicted under a web of vines. On the right side of the gate the decorations are geometric, probably due to the presence of the mosque behind. The western façade was sent to Germany in 1903 in gratitude for the construction of the Hejaz Railway. It is on view at the Museum of Islamic Art, on Berlin’s Museum Island. 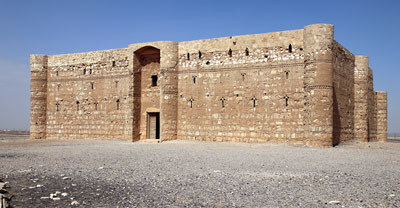 In 2013, the original site was extensively restored in a joint project of the Kingdom of Jordan and the Federal Republic of Germany. 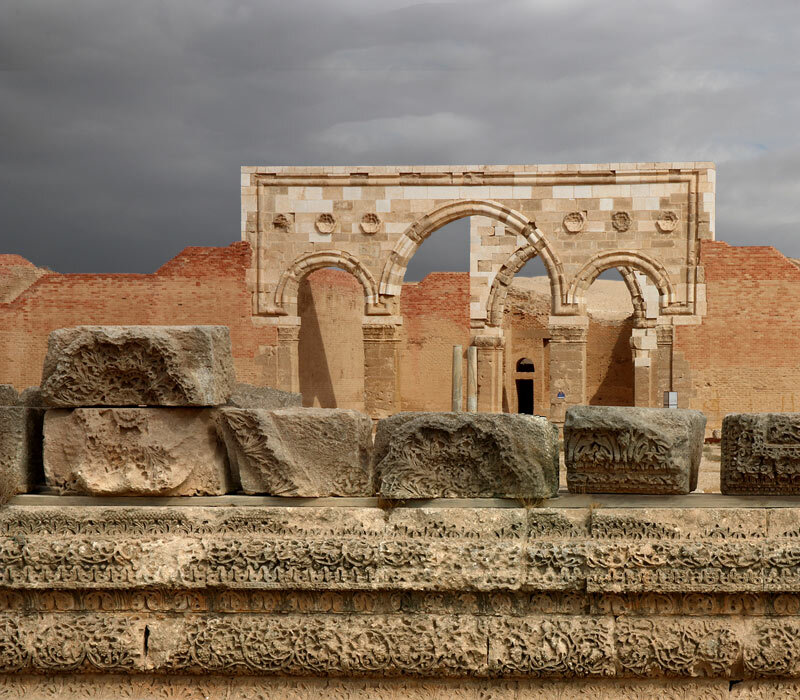 The site of Qasr al-Mshatta is located north of Queen Alia International Airport, approx. 35 km south of Amman downtown. Ca. 1 hour by car, leaving Airport Road at Al Qastal. 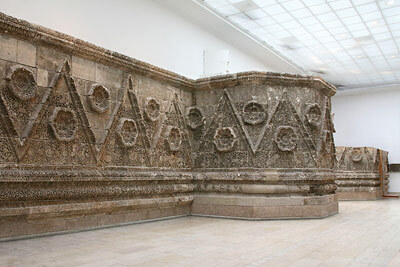 Part of Qasr al-Mshatta's main façade, since 1903 in Germany as a gift from the Ottoman Sultan. One of the most important exhibits of the Museum of Islamic Art Berlin. 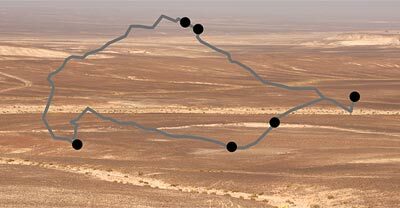 Roundtour of about 260 km east from Amman to a series of desert retreats built by Umayyad princes, among them astounding palaces, bathhouses and hunting lodges.